This square counter table with large shelf in the base has simple style and function. An aged brown-gray finish brings to life the table top's scrubbed oak veneer, while its smaller scale make it perfect for any dining space. The aged brown-gray finish highlights the updated farmhouse style of the counter chairs with a simple ladderback design and turned front legs. A linen tone upholstered seat completes the counter stools. 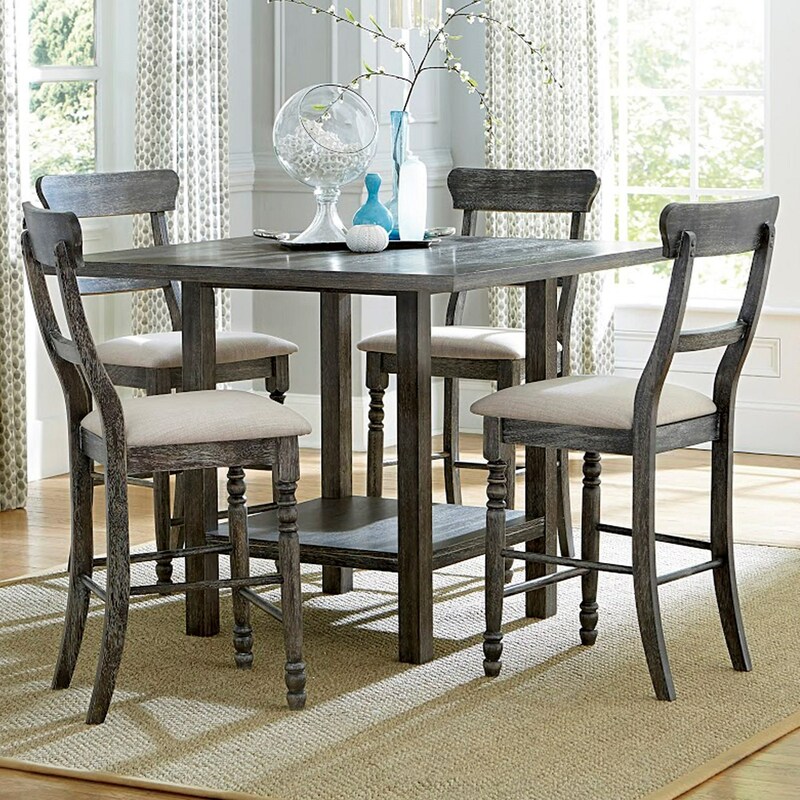 The Muses 5-Piece Counter Table Set by Progressive Furniture at Miskelly Furniture in the Jackson, Pearl, Madison, Ridgeland, Flowood Mississippi area. Product availability may vary. Contact us for the most current availability on this product. The Muses collection is a great option if you are looking for Transitional furniture in the Jackson, Pearl, Madison, Ridgeland, Flowood Mississippi area.